Suzanne Albin Tucker, the new president of the JCC, called for members to step up their involvement with the center. Becoming president of a JCC isn’t what most little girls dream of, Suzanne Albin Tucker told an audience on June 13, and it isn’t what she had in mind when she and her husband Rob joined the JCC of Central New Jersey in 1997. But as the center in Scotch Plains became an increasingly important part of their lives, volunteering and taking a more active role were a natural progression. Now she is president of the JCC. Albin Tucker was speaking after her installation at the organization’s annual meeting. One of her priorities as president, she said, will be to encourage others to get more involved as volunteers. She urged everyone to speak with her to find the opportunities that best match their interests. She said that “human capital is just as important as dollars for capital campaigns. We need people who care, people with financial acumen, people who are creative, people who have special talents, and people who aren’t sure what they can offer. I am proud of what we have accomplished. Albin Tucker, a lawyer with her own firm, was born in California and grew up in New York, mostly in Northport, Long Island. She and Rob moved to Westfield in 1994, about sixth months after they got married. They now have two daughters, Dara, 15, and Nathalie, 11, both of whom are also actively involved with the JCC. Her path to the presidency has included chairing numerous efforts. 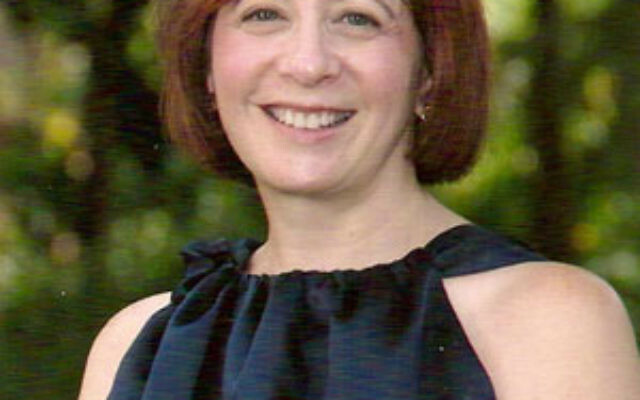 She has served on many JCC committees, including camp, governance, and the HaDerech leadership group, and she has been on the executive committee for several years. 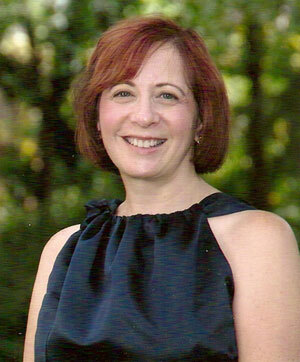 She is also on the Women’s Philanthropy Board of the Jewish Federation of Central NJ. In her speech on Monday, Albin Tucker said that she has always had a very strong Jewish identity. It was rooted in the family history and her mother’s experience as a child survivor of the Holocaust. That gave her a pride that enabled her to deal with the anti-Semitism she encountered growing up on Long Island. And when it came to finding a preschool for their first daughter in 1997, the JCC preschool was a natural choice. Initially, she said, like most members, she was “a consumer of what the JCC has to offer.” She was, she said, “too busy with my family, work, and just life to think much of involving myself beyond that,” but a couple of years later, something happened that intensified her sense of Jewish identity and made the JCC connection even more important for her. Her father got cancer, but in characteristic fashion, he decided to pursue a long-cherished goal of becoming a bar mitzva. Three weeks before his death, he and his wife together became b’nei mitzva. Inspired by their example, Albin Tucker stepped up her own Jewish involvement and became a volunteer at the JCC. Monday’s program included a dinner to honor outgoing president Scott Lazar, and the presentation of the Volunteers of the Year Awards to Mitch Cohen and Larry Forman, and the Hineni Award for exemplary leadership and service to Stuart Fuchsman. Paying tribute to Lazar and his predecessor, Mindy Goldberger, the JCC’s professional leaders, and volunteers, Albin Tucker went on to talk about the capital campaign, the renovations that it financed, and recent research that will be used as the basis for future developments. She stressed that support for the JCC is a form of philanthropy, and that comes in the form of time donated as well as money, to help make it as welcoming a place as possible.